“What’s your favourite food?” they used to ask me at primary school. Back then it was chips and Walls pork sausages (mine was a simple childhood of modest pleasures). Now, the list has grown a bit, but most of the items are still pretty straightforward: a creamy risotto with white Alba truffle, a single slice of sourdough adorned with fresh crab, almost anything involving crispy pig. But up there in my gastronomic Mount Olympus there would definitely be one seriously good noodle soup. Vietnamese pho, when done well, is a seriously good noodle soup. The trick is to produce an all-healing broth that is both light in body and singing with flavour. Bones are simmered for hours while onions and ginger are blackened into rich, caramel flavours. Add cloves, cinnamon and star anise to lend the thing its sing-song top notes, and I’m in soup heaven. 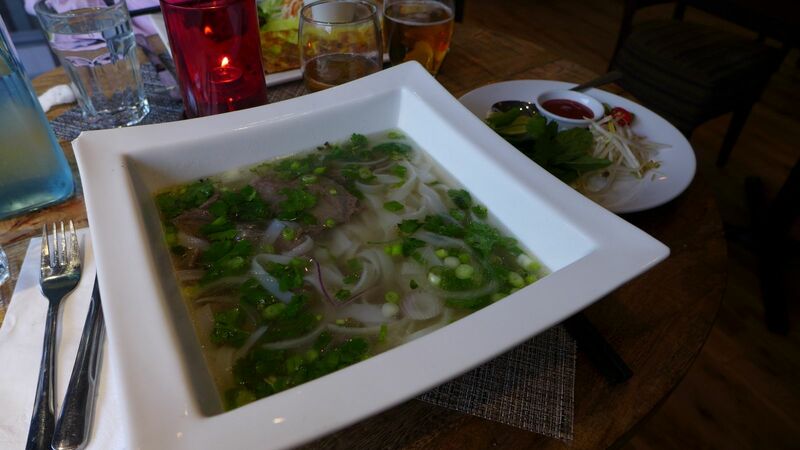 There are regional variations, of course, and various meats may be used, but when pho is good, it’s phab. 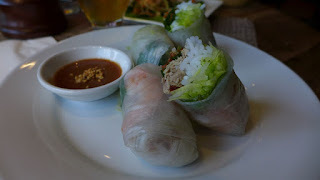 Which is what I was hoping for when I met a visiting friend off the train and we headed for dinner at Saigon, the revamped Vietnamese restaurant in Newcastle’s Bigg Market. 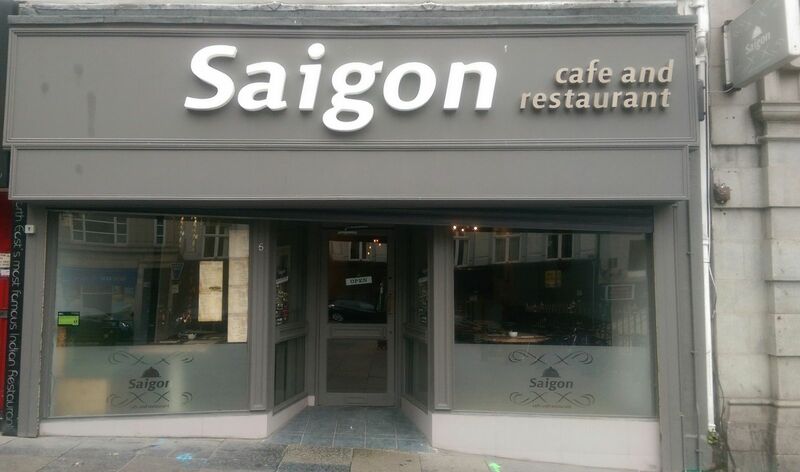 It used to be Little Saigon, now it has grown up. 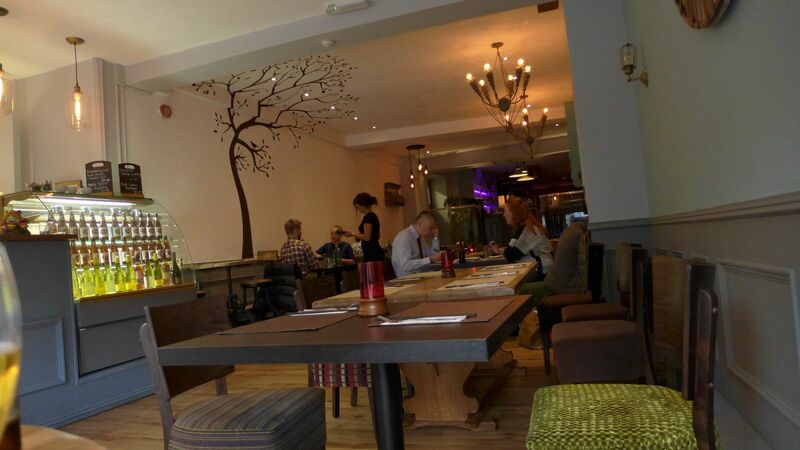 There's been a modest refurb since the last time I visited, many years ago, and apparently a change in management. Bare wood tables and laminate floors stress function over form. A clean but unexciting ambience. I hoped that, as with my recent discovery of the excellent Chilli Padi in Leazes Lane, the food would far surpass the environment. I was wrong. When my seared beef pho arrived it was a tantalising let-down, reminding me of the thing I wanted, without quite being the real deal. The broth was clearly derived from actual animal, but not enough animal. It was far too polite by half. The flavour of the spices were there if I concentrated, but I don’t want to have to concentrate on soup. I had also hoped “seared” would mean “rare”, but no such luck. These slices of beef were grey and tasted of little. I recalled other soups in sweaty streetside cafés, far away. I tried to perk it up with a dollop of sriracha, one of a number of accoutrements served on the side. I discovered this makes it taste basically of sriracha. Ho-hum. 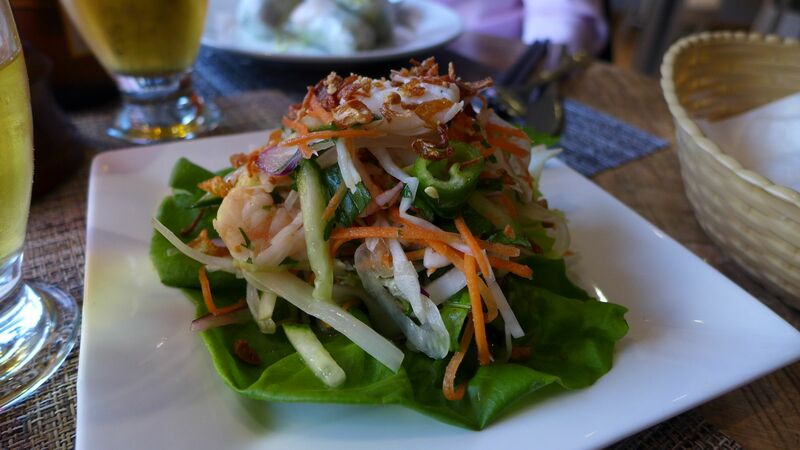 We had started with portions of garden rolls and a prawn and lotus salad. I had actually ordered the papaya salad, but we were so engrossed in discussing Jeremy Corbyn that we didn’t notice until we were halfway through. Never bring politics to the table. As with my soup, it was just too well mannered, lacking in fish sauce and lime or chilli heat. It was a David Cameron of a salad: lacking punch and fire. The garden rolls were enjoyable enough, bringing together an array of bouncy bedfellows including prawn and vermicelli and they came with a spiky black bean sauce, but they were trussed up in some overly gummy rice paper which rendered the whole thing a bit of a challenge. 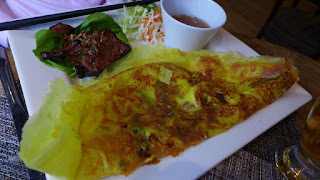 My friend’s main course of prawn and pork pancake was more successful, the pancake being a blowsily eggy affair, encasing plenty of prawns and green beans, with a lump of well charred meat on the side. This was well received. But it was the pho that let the whole meal down. “There’s nothing very Mekong Delta about any of this, is there?” observed my friend as we decided whether to try one of four desserts that all spoke of Albion rather than the Orient. Leyton Orient, maybe. Given the French influence on Vietnamese cuisine, it would’ve been nice to see an Asian twist on crème brûlée, or some such. Instead we had gooseberry and apple treacle crumble tart. It was - and I’m honestly trying to come up with a more explosively literate way of communicating this to you - alright. The gooseberries were nice and tart, but the bought-in ice cream added little more than the pointless squiggle of chocolate sauce that adorned the plate. 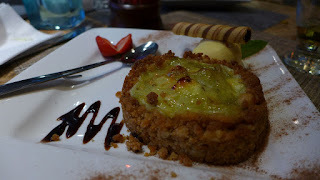 I couldn’t believe I was making notes on gooseberry trifle in a Vietnamese restaurant. Apart from getting one of our ordered dishes wrong, the service was cheery enough. We drank real Saigon beer, brewed by Sabeco, who are in turn owned by Vietnam’s Ministry of Trade and Industry. Rather nice it is too, with just a hint of the banana-type flavours reminiscent of a wheat beer. To be fair, on the basis of this meal, Saigon is by no means a stinker of a restaurant. We saw that the kitchen had some potential, but everything was muted, toned down and, consequently, underwhelming. Perhaps one day Newcastle will get a great Vietnamese restaurant which does justice to the magical combination of Chinese, south east Asian and French influences, pumping out steaming bowls of pho that can take their rightful place among my list of all-time great foods. But then, perhaps one day Newcastle United will win the league. Or crispy pigs might fly.